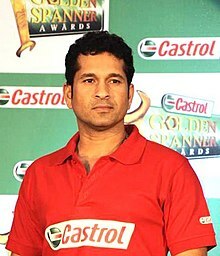 The 1996 Cricket World Cup, also called the Wills World Cup 1996 after its official sponsors, ITC's Wills brand, was the sixth Cricket World Cup, organised by the International Cricket Council (ICC). 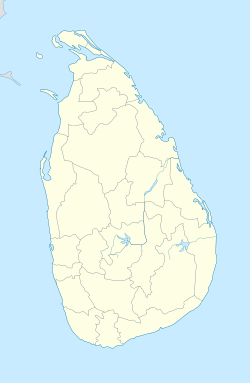 It was the second World Cup to be hosted by Pakistan and India, and for the first time by Sri Lanka. 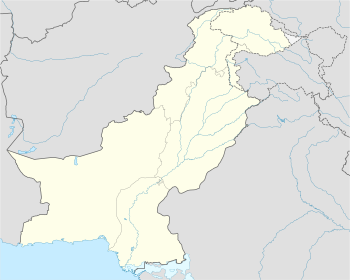 The tournament was won by Sri Lanka, who defeated Australia in the final at the Gaddafi Stadium in Lahore, Punjab. India hosted 17 matches at 17 different venues, while Pakistan hosted 16 matches at 6 venues and Sri Lanka hosted 4 matches at 3 venues. All the test playing countries participated in the competition including Zimbabwe who following the last world cup became the 9th Full Test status member of the ICC. The Three Associate teams (previously one) to qualify through the 1994 ICC Trophy also made their World Cup debuts in 1996: the United Arab Emirates, Kenya and the Netherlands. The Dutch lost all of their five matches while the U.A.E. only beat the Dutch. Kenya, however, recorded a surprise victory over the West Indies in Pune. The Sri Lankans, coached by Dav Whatmore and captained by Arjuna Ranatunga, used Man of the Series Sanath Jayasuriya and Romesh Kaluwitharana as opening batsmen to take advantage of the fielding restrictions during the first 15 overs of each innings. At a time when 50 or 60 runs in the first 15 overs was considered adequate, Sri Lanka scored 117 runs in those overs against India, 123 against Kenya, 121 against England in the quarter-final and 86 against India in the semi-final. Against Kenya, Sri Lanka made 398 for 5, a new record for the highest team score in a One Day International that stood until April 2006. Gary Kirsten scored 188 not out against United Arab Emirates at Rawalpindi, Pakistan. This became the highest individual score ever in any World Cup match until it was surpassed by first Chris Gayle of the West Indies and later Martin Guptill who scored 215 and 237 respectively in the 2015 Cricket World Cup. Sri Lanka won the first semi-final over India at Eden Gardens, Calcutta in front of a crowd unofficially estimated at 110 000. Chasing Sri Lanka's innings of 251 for 8, India had slumped to 120 for 8 in the 35th over when sections of crowd began to throw fruit and plastic bottles onto the field. The players left the field for 20 minutes in an attempt to quieten the crowd. When the players returned for play, more bottles were thrown onto the field and fires were lit in the stand. Match referee Clive Lloyd awarded the match to Sri Lanka, the first default ever in a Test or One Day International. In the second semi-final in Mohali, Australia recovered from 15 for 4 to reach 207 for 8 from their 50 overs. The West Indians had reached 165 for 2 in the 42nd over before losing their last 8 wickets for 37 runs in 50 balls. Sri Lanka won the toss in the final and sent Australia in to bat despite the team batting first having won all five previous World Cup finals. Mark Taylor top scored with 74 in Australia's total of 241 for 7. Sri Lanka won the match in the 47th over with Aravinda de Silva following his 3 for 42 with an unbeaten 107 to win the Player of the Match award. It was the first time a tournament host or co-host had won the cricket World Cup. This game was scheduled to be played on 25 February. That game started but was abandoned after 15.5 overs in the Zimbabwe innings. Sri Lanka's total of 398/5 surpassed England's 363/7 against Pakistan in 1992 as the highest score in all ODIs. The record stood until 12 March 2006, when both Australia and South Africa broke it in the same match. It remained a World Cup record until the 2007 tournament, when India scored 413/5 against Bermuda. The match was awarded to Sri Lanka by match referee Clive Lloyd when play could not be continued due to the rioting crowd. Sri Lanka won the toss and chose to field. Mark Taylor (74 from 83 balls, 8 fours, 1 six) and Ricky Ponting (45 from 73 balls, 2 fours) shared a second-wicket partnership of 101 runs. When Ponting and Taylor were dismissed, however, Australia fell from 137/1 to 170/5 as the famed four-pronged spin attack of Sri Lanka took its toll. Despite the slump, Australia struggled on to 241/7 from their 50 overs. ^ "Wills World Cup, 1995/96, Final". Cricinfo. Retrieved 29 April 2007. ^ Records / One-Day Internationals / Team records / Highest innings totals – ESPNcricinfo. Retrieved 3 March 2015. Fernando, Andrew Fidel (March 2015). "The lion's fairy tale". The Cricket Monthly. ESPNCricinfo.